Gary S. Tucker & Associates – leading law firm that litigates lawsuits from the drug Celexa and its caused side effects. We don’t get paid unless we win the case. How does it work? 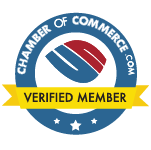 One of our top rated, Houston Celexa Attorney experts, will answer any questions about your case. When signing with our law firm, you’re letting the professionals handle the litigation and you get to sit back and receive compensation. Every Celexa settlement is different and it is important that you contact us as soon as possible. The antidepressant sold by the name Celexa, also has various other names depending on manufacturer. 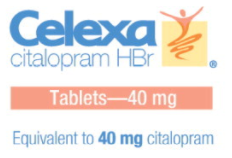 Celexa has been linked to several awful side effects, which include pulmonary hypertension in newborn babies, anxiety, aggressive or violent behavior, impulsive or suicidal behavior and irritability, among others. Celexa is a member of the SSRI (selective serotonin reuptake inhibitor) group, along with Paxil, Prozac, Zoloft and others. These drugs are also known as antidepressents. Is Celexa Safe to Use? In December 2011, a safety announcement concerning SSRI antidepressants and pregnancy was released by the FDA. The announcement noted the link between a potential risk of persistent pulmonary hypertension of the newborn (PPHN) and SSRI use during pregnancy. In August 2011, a safety announcement concerning Celexa was released by the FDA. The FDA safety announcement alerted healthcare professionals and patients taking Celexa that the antidepressant should not be taken in doses exceeding 40 mg per day. According to the FDA drug safety announcement, taking a dose of Celexa exceeding 40 mg per day can contribute to abnormal changes in electrical heart activity. Changes in this type of heart activity can eventually lead to a potentially fatal abnormal heart rhythm. Celexa is a prescription medication used to treat major depression. Celexa is in a group of drugs labeled selective serotonin reuptake inhibitors (SSRI). SSRI drugs are prescribed to treat mental depression. PPHN stands for persistent pulmonary hypertension of the newborn. This occurs when a newborn is unable to breathe air after exiting the womb. Newborns with this condition may require a ventilator or other intensive care support to supply enough oxygen. A severe case of PPHN can damage organs or even lead to death. While Celexa is often used for the treatment of depression, the side effects associated with the drug are often severe and sometimes life threatening. If you or a person of family has experienced adverse side effects from the use of Celexa, you may qualify for compensation to help with the cost of your medical expenses, as well as your pain and suffering. To contact a Celexa lawyer for a free consultation and get Celexa lawsuit information, contact Gary S. Tucker and Associates by calling (800) 275-5007.